Anything from unexpected hospital expenses to a layoff at work due to a weak economy can dramatically affect your ability to pay mounting bills. If you are currently facing financial hardship in Queens or Brooklyn, we encourage you to speak with a debt relief attorney from our firm. While some people have adopted a negative idea about bankruptcy, the truth is that it can be an effective means of debt relief. If you’re experiencing overwhelming debt that has hindered your ability to live comfortably, you may want to consider bankruptcy. Under the U.S. Bankruptcy Code, consumers can find debt relief through one of two types of bankruptcy: liquidation bankruptcy or reorganization bankruptcy. Chapter 7 bankruptcy is referred to as liquidation bankruptcy because it requires qualifying consumers to liquidate nonexempt assets such as their home and / or car. The liquidation process allows debtors to then repay a manageable amount of their of debts and discharge the rest. Chapter 13 bankruptcy is referred to as reorganization bankruptcy because it allows for consumers to negotiate a repayment plan with their creditors. Consumers who file for Chapter 13 bankruptcy will be given a period of 3-5 years in which they can repay their debts, after which time the remaining debt will be discharged. 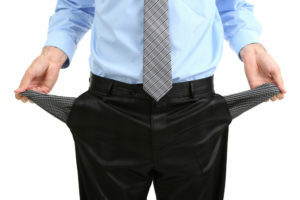 Bankruptcy could be your ticket to debt relief! Learn more by calling us today! Are you interested in learning more about how bankruptcy may be the answer to your mounting debts? Our team of debt relief lawyers at The Hurwitz Law Firm, P.C. would be happy to schedule a free consultation with you to discuss your options at this time. Together, we can discuss the potential risks and rewards of filing bankruptcy as a form of debt relief in New York. Under our care, your case will be handled with the attention and precision that you need at this time. Contact us today to learn more.